Crane Axle's Dana 60 Diff Cover is designed for an aggressive, low profile and bullet proof option for your Dana 60 front or rear axle. There are many options for Diff covers but only Crane Axle Diff covers offer you a better built, better designed, completely manufactured right here in the U.S.A option for your Dana 60. 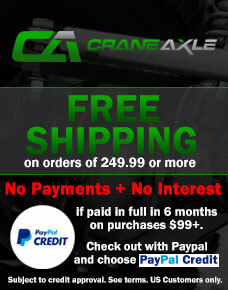 Crane Axle Differential Covers feature a lipless design to prevent hanging up on obstacles. They are engineered in every aspect from fill hole placement to the angles designed to clear steering/suspension linkages. 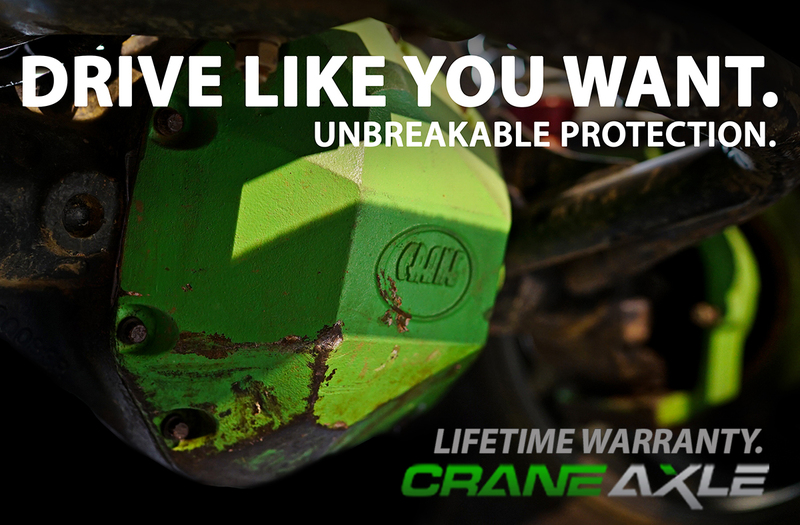 Crane's recessed bolt land helps protect against damage to the head of the bolts. All of Crane's Diff covers are cast from high strength 8620 Chromoly Steel they are fully CNC machined to ensure a perfect fit every time. 8620 alloy steel has a much higher carbon content than mild steel. The higher amount of carbon means increased strength. This material is characterized by a hard outer surface, combined with a ductile interior for higher strength. Minimum properties of 8620 (chrome-nickel-moly) alloy steel; Tensile Strength, psi: 97,000 Yield, psi 57,000. What does this mean for you? Our 8620 chromoly parts can take more abuse day in and day out then our competition, just ask anyone that uses Crane Axle parts on their ride.